If you’ve made it to this page then you probably have a laptop in need of some repairs. Here at PC Pros 2 Go we do a lot of work on a wide range on computers, even laptops. And while we’d love to help everyone with their computer problems there are a couple of things that we just don’t do. And that would be replacing broken laptop screens and laptop power jack repairs. Now if you have a cracked screen on your laptop the first thing you need to do is to determine whether it is worth it to you, to fix it or replace it. Depending on your laptop model and how old it is will determine the cost of a replacement screen. And then you’ve got to factor in the labor that a computer shop will charge you for the replacement. So, hop on to the internet and go to your favorite search engine. Type in the model number of your laptop and lcd screen replacement. 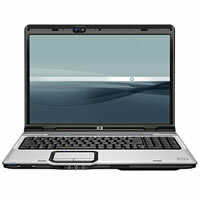 For example “hp dv6000 lcd screen replacement” and see what prices you come up with. This will give you a ballpark figure on what the part will run should, you get someone to repair it. Let’s say your screen runs about $130.00 for a replacement screen. And a repair shop is going to charge you $100 for labor. So now you’re looking at $230.00 to repair your laptop. These are just some example figures. And if your laptop is 4-5 years old you might not have a lot of life left in it. We’ve got laptops in our computer store for under $400. So the decision is to repair your old laptop or spend a little more for a brand new laptop that is more than likely to run better and faster. Just something to think about. But with all that said, our goal is to help people with their computer problems any way we can. And if we can’t work on your computer we’ll at least point you in the right direction to get the help that you need. If you’ve got a broken laptop screen or need the power jack on your laptop replaced then here are a couple of places to check.